Shooting Tanks is a video game for Android and Windows. You are an explorer in a two-dimensional world full of robotic tanks. 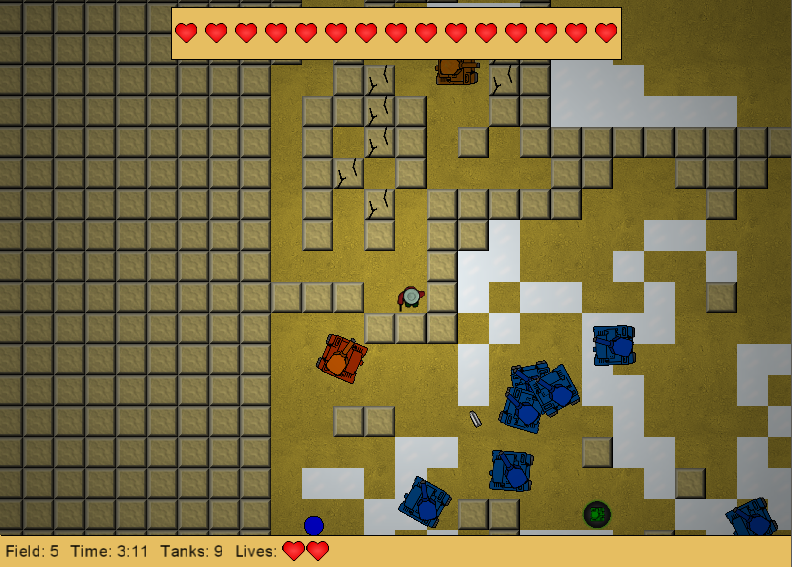 The objective of the game is to destroy all tanks. 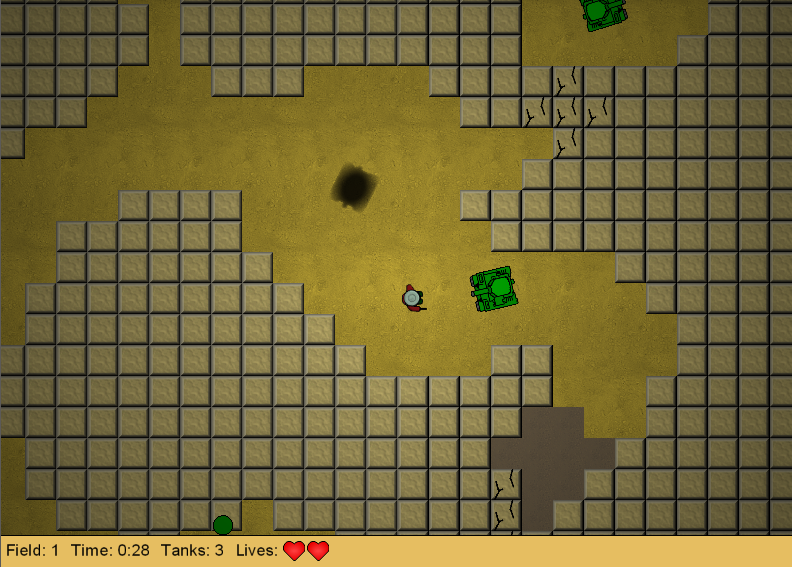 Although your character has a powerful gun, it is mostly unprotected against the tanks. You can only shoot horizontally or vertically. 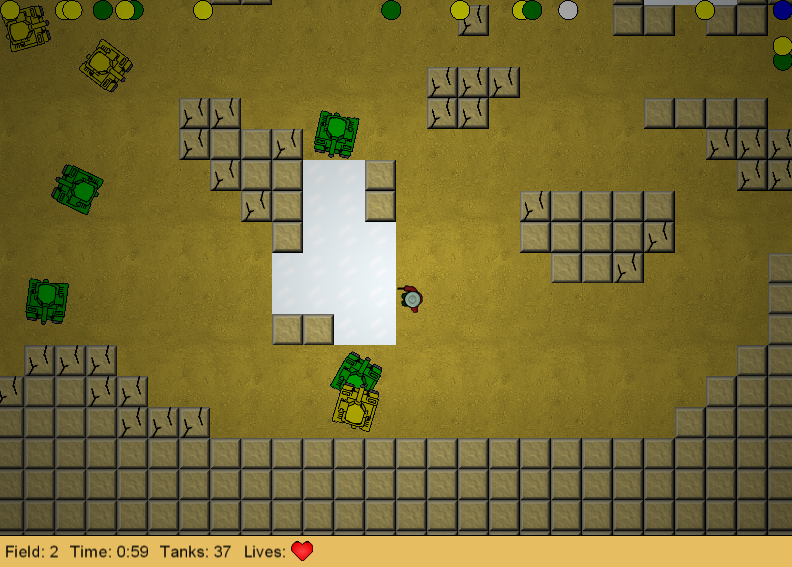 The tanks (with the exception of the blue ones) can only shoot in the direction they are driving. Each level is unique. 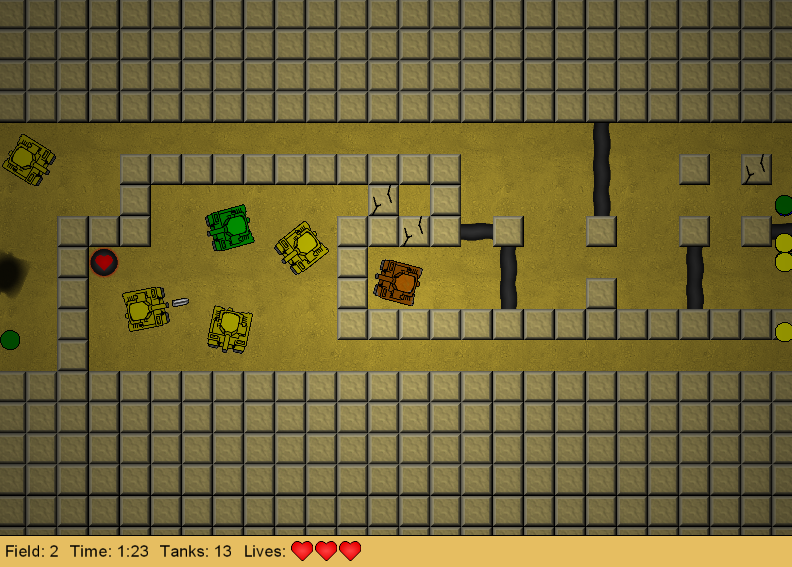 In some levels you can blindly run towards the tanks, while other levels require some kind of strategy. A level typically takes a few minutes to complete.